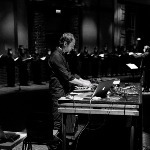 Composer Sven Helbig's music is hard-edged innovation masked as historical homage. This musical subterfuge is possible because Helbig's choral writing recalls the richness of Palestrina and Byrd while assiduously incorporating new instruments and ideas to amplify a time-tested formula. Helbig's biography is a testament to an aptitude at blending musical styles and eras. He's worked with Rammstein and Pet Shop Boys. He's composed, produced and arranged projects ranging from ballets to one-off anniversary shows. He co-founded the Dresdner Sinfoniker, a group dedicated to the performance of contemporary music. 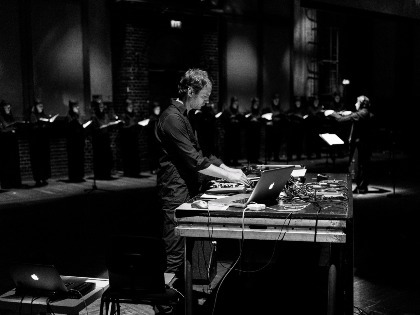 In 2016, Helbig released I Eat The Sun And Drink The Rain, a collaboration with Vocalconsort Berlin that is the apotheosis of old-meets-new. Helbig conceived of this vocal work as a concept album revealing the origins of the human soul in ten episodes.